Chunking is a term referring to the process of taking individual pieces of information (chunks) and grouping them into larger units. By grouping each piece into a large whole, you can improve the amount of information you can remember. Probably the most common example of chunking occurs in phone numbers. For example, a phone number sequence of 4-7-1-1-3-2-4 would be chunked into 471-1324. By separating disparate individual elements into larger blocks, information becomes easier to retain and recall. This is due mainly to how limited our short-term memory can be. While some research suggests people are capable of storing between five and nine units of information, more recent research posits that short-term memory has a capacity for about four chunks of information. According to neuroscientist Daniel Bor, author of The Ravenous Brain: How the New Science of Consciousness Explains Our Insatiable Search for Meaning, chunking represents our ability to "hack" the limits of our memory. Chunking allows people to take smaller bits of information and combine them into more meaningful, and therefore more memorable, wholes. Bor argues that our natural tendency to see patterns and make connections is not just important for memory, but that it is also the source of creativity. As Steve Jobs once famously suggested, "Creativity is just connecting things." The next time you are trying to remember items from a list, start by forming smaller groups. If you are working with a list of vocabulary words, for example, you might create small groups of words that are similar or related to one another. 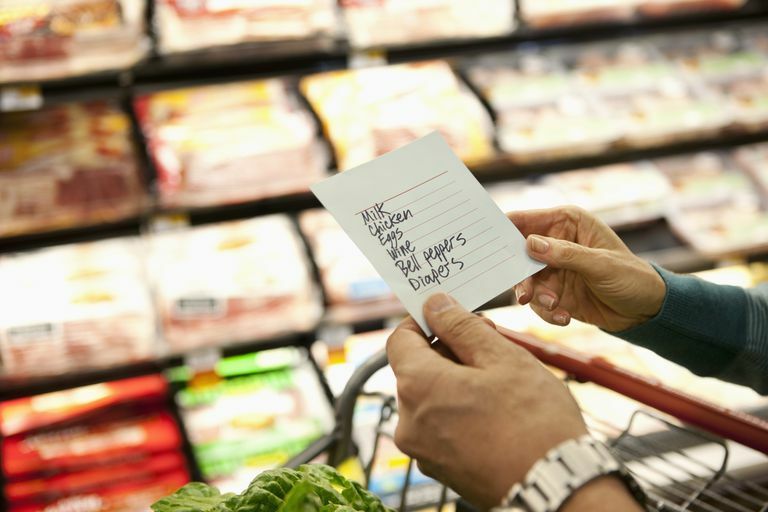 A shopping list might be broken down into smaller grouping based on whether the items on the list are vegetables, fruits, dairy or grains. Chunking can be used as an everyday memory enhancer, but researchers have also found that you can improve your ability to effectively chunk information. Bor relates the story of one participant in a memory experiment who challenged himself to improve the number of items he could remember. While he was initially able to remember seven items, he was able to increase this to 80 units of information over the course of 20 months. The student described in the above experiment devoted an hour a day, approximately four days a week for nearly two years to achieve it. While you might not be able to devote such intense concentration to improving your memory, there are things that you can do to make the most of your brain's natural tendency to seek patterns and group information. Practice: Challenge yourself to remember lists of things, whether it’s your grocery list, vocabulary words or important dates. As you become better at remembering larger chunks of information, continue to challenge yourself to remember even more. Look for Connections: As you are creating groupings, look for ways to relate units to each other in meaningful ways. What do the items share in common? You might group items together because they are each spelled with four letters, because they start with the same letter or because they share a similar purpose. Associate: Linking groups of items to things from your memory can also help make things more memorable. You might be more likely to remember that you need eggs, baking soda, and chocolate chips if you associate the items with the delicious cookies that your mother used to make. Incorporate Other Memory Strategies: For example, you might use mnemonics as a way to chunk different units of information. If you are going to the grocery store and need bananas, eggs, nectarines, and tea you can create a word out of the first letters of each item you need—BENT. Once you remember the keyword, you will then be better able to recall the items represented by each letter of the acronym. Chunking certainly is not a cure-all for memory problems, but it can be an effective tool in your memory improvement arsenal. By practicing chunking methods regularly and incorporating this technique in your study habits, you might find that you are able to remember more. Bor, D. (2012). The Ravenous Brain: How the New Science of Consciousness Explains Our Insatiable Search for Meaning. New York: Basic Books. Cowan, N. (2001). The magical number 4 in short-term memory: A reconsideration of mental storage capacity. Behavioral and Brain Sciences, 24, 97–185. Miller, G. A. (1956). The magical number seven, plus or minus two: Some limits on our capacity for processing information. Psychological Review, 63, 81–97.